Author: King, Ross Set In . . . 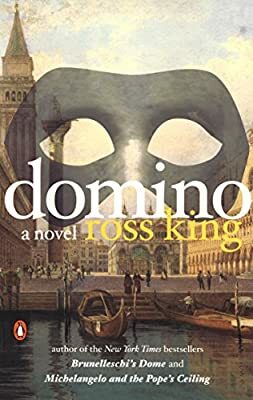 Description: Ross King’s delightful, Rabelaisian novel recounts the adventures of young George Cautley, an aspiring artist who, as he makes his way through London’s high society, finds that nothing is as it seems and everyone wears a disguise. Moving from masquerade balls in London to the magnificent and mysterious opera houses of Venice, Cautley is drawn into a web of intrigue and murder spun by the seductive and tempestuous Lady Beauclair. Suspenseful, menacing, and laced with black humor, King’s picaresque tale is full of surprisesand suspense, told at the pace of a thriller and with the richness of a restored painting.